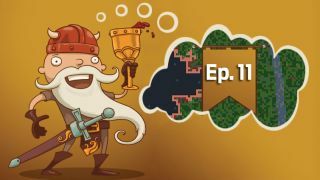 In episode 11 of PC Gamer's Dwarf Fortress series , Wes and Will move past their medical crisis to focus on more important things: a new trade caravan! Also, they eat cupcakes. In early July 2014, Dwarf Fortress received its first major update in two years. We wrote about why now is the time to get into the game with our guide Into the deep . Now we're learning how to play. Check back every Tuesday and Thursday for new episodes of A Newbie plays Dwarf Fortress .